Canada will not adopt retaliatory economic sanctions in its escalating diplomatic war with Saudi Arabia, Canada’s Finance Minister Bill Morneau said Thursday. Riyadh is upset that Canada publicly rebuked the kingdom for not releasing jailed human rights activists. That, the Saudi government said, was meddling in its domestic affairs and would not be tolerated. Saudi Arabia set in motion a series of steps to show its displeasure with its ally Canada through diplomatic and economic measures. In the last few days, Saudi Arabia recalled its ambassador from the Canadian capital of Ottawa, ordered the Canadian ambassador to leave, froze all new trade deals and stopped imports of wheat and barley, ordered 16,000 Saudi students to leave Canadian schools as well as doctors and patients to leave Canadian hospitals and began selling off Canadian assets. The seller remains anonymous, but speculation is that it is the Saudis divesting investments in Canada. 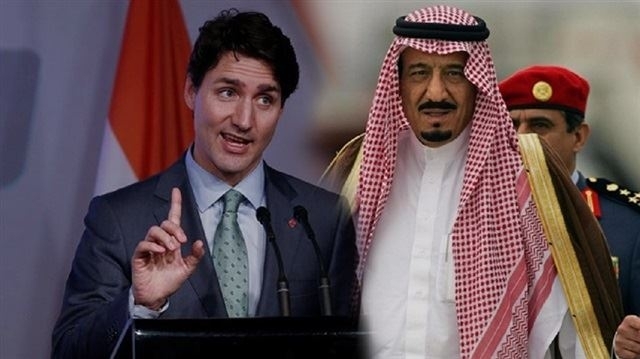 The kingdom wants Canadian officials to fly to Saudi Arabia and make a public apology for meddling in the kingdom’s affairs, something Canadian Prime Minister Justin Trudeau said is not going to happen. He has refused to step back from condemnation of the Saudis for their dismal record on human rights. Morneau said his department has been watching developments as they unfolded to gauge the effects on Canada’s economy, but no retaliation is on the table as yet. Morneau said the Canadian economy is strong.